Q. 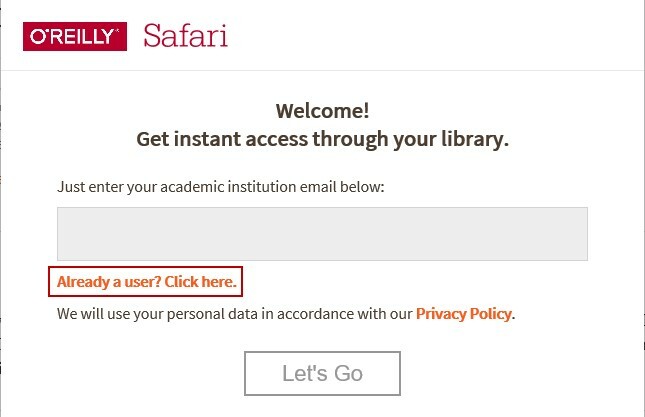 How to access eBooks in O’Reilly Safari for Higher Education? After clicking the link to the eBook you can simply enter your SMU email address in the pop up window and click Let's Go. 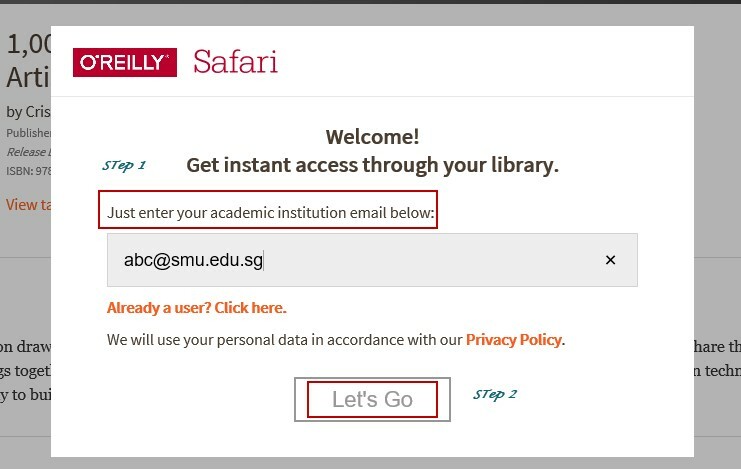 After your successful access you will receive an email from O’Reilly Safari. You can follow instructions in the email to create a free account. 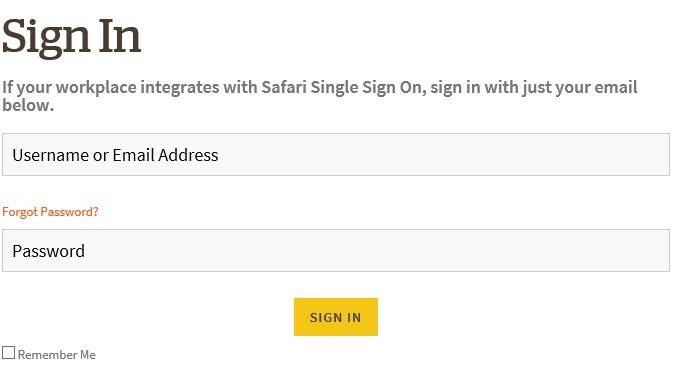 Next time you can log into Safari with your own account and experience some personalized features. However it is NOT necessary for you to create an account with O’Reilly Safari to access eBooks.